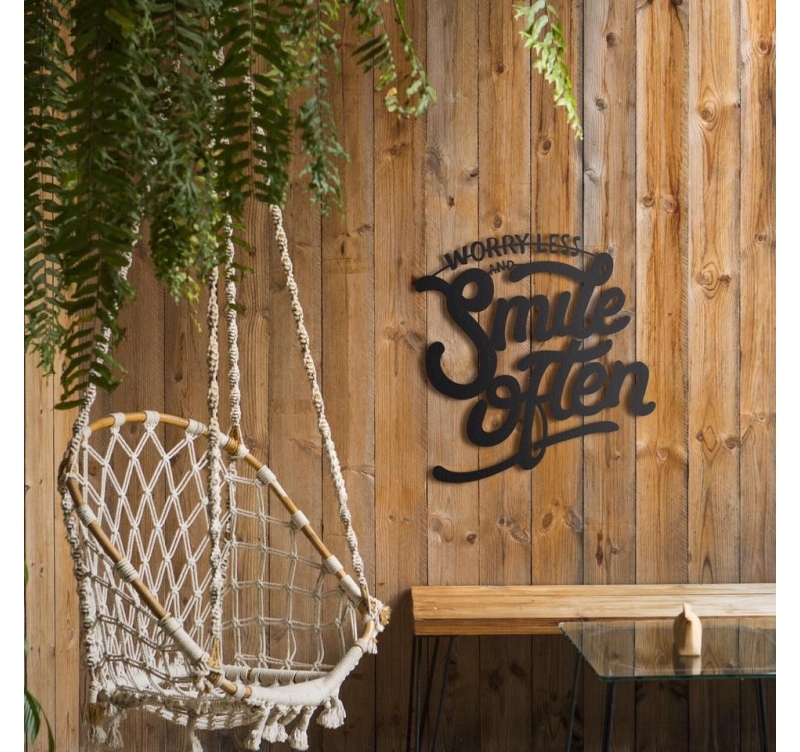 Find the smile with this metal wall decoration ! This mythical and sweet phrase will be the perfect metallic decoration for a living interior. The dimensions of this design deco are 50 x 48 cm. Shipping around the world for this modern decoration inspiration. For all enthusiasts and people who enjoy life every day, this metal wall decoration is for you ! 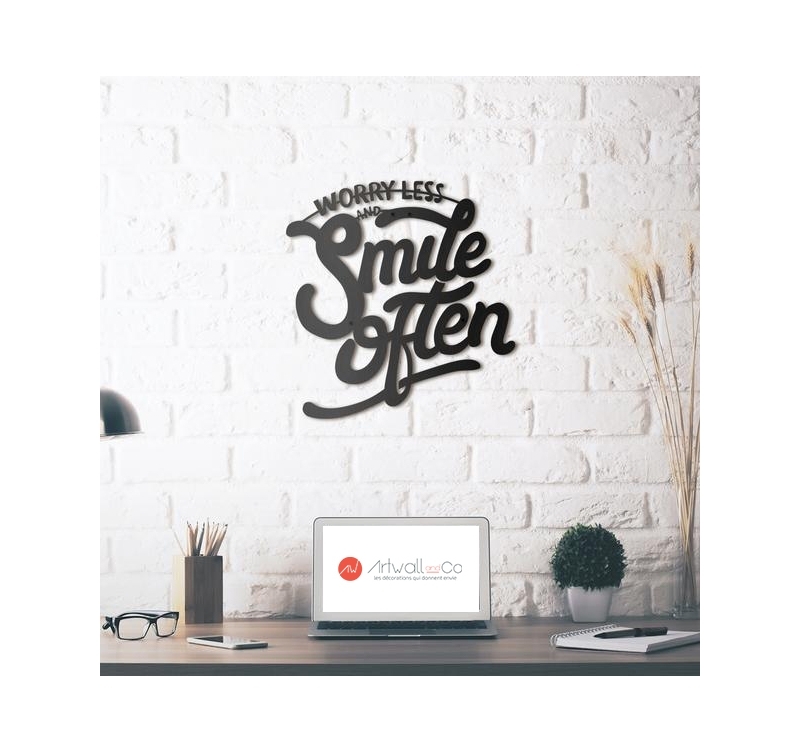 "Worry less and smile often" shows a real positive state of mind that will end up in your home. The curves and the typography will give volume to your decoration while keeping the contemporary aspect of the metal. This design inspiration is created by our artists entirely by hand to provide you a quality decoration. With a hook on the back of the decoration, you just have to put this decoration on a small attachment to your wall.